You are here: Home / Church Talk / What would you ask Alan Hirsch, Lillian Daniel, or Philip Clayton? This coming week I’ve been invited to attend the Transforming Ministry Conference in Seattle. It’s a Western Jurisdiction thing and participants are selected by the area district superintendents. I’m excited to be part of it and hang out for a few days with some awesome young clergy who I know will be there. 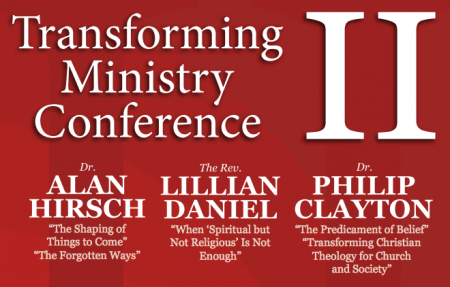 The thing is…I’m really not familiar with the presenters Alan Hirsch or Lillian Daniel at all. I know a little about Philip Clayton from his Process Theology work, but not enough to be conversant. So, those of you who are more familiar, what ministry-related questions would you want to ask any of these three presenters? What aspects of their expertise would you like to see focused on United Methodist ministries? Remember this is a practical theology focus, so weird questions of Process cosmologies probably won’t be as relevant. Crowdsourcing for questions from those familiar with their work! Thanks in advance! Wholesale cheap nfl Jerseys from china, at lowest price to get a big surprise from us. Do not miss it.